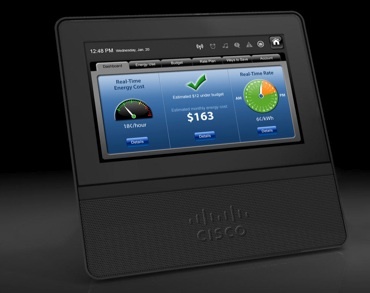 Cisco (s CSCO) plans to move away from selling building and home energy management products, the router giant announced via blog post on Wednesday afternoon. About a year ago Cisco launched a strategy to offer a home energy management device, called the Home Energy Controller, and back then also upgraded its building energy management systems, which include its Building Mediator Manager and Building Mediator tools. In a blog post on Thursday, Cisco’s SVP and GM of Smart Grid, Laura Ipsen, wrote that Cisco is moving away from creating and selling devices to manage and monitor energy in buildings and homes and is sticking to using its core networking technologies for the smart-grid industry. [A]fter several customer pilots, we are refining our strategy so we can most effectively apply our experience and expertise in IP-based communications to the electric, gas and water networks globally. The move follows the decisions by both Microsoft (s MSFT) and Google to shut down (s goog)their energy management software products earlier this year, and a variety of startups that built business off selling energy management products have also struggled. Cisco explored how to move into the smart grid partly by buying startups. Cisco bought wireless networking software company Arch Rock last year and Richards-Zeta Building Intelligence in 2009. Cisco’s decision to pull back from developing devices at the edge of the smart-grid network is likely good news to potential competitors like Silver Spring Networks. However, Cisco says it is not moving away from the smart grid entirely and remains committed to the industry. I am not sure why all these corporation are running away from home energy market. After Google, CISCO is another shock. Though few companies like http://www.sensegrow.com/products/ioeye-energy are doing well. Thanks, Katie. To be clear, we are exploring options for our Network Building Mediator and Mediator manager products. Our acquisition of Arch Rock and those “edge” technologies is not impact by the changes to our business.